Up to now, the only things I knew about nettles were to avoid their biting leaves when hiking, that they have interesting medicinal properties and can turn into a great soup! That was until I heard from the Crébas-Wobma family. This year, they founded their company NETL and launched their first collection of knitwear made of a mix of cotton and nettle! Why did this Dutch family fall in love with this fiber? Well, nettles grow spontaneously where other plants won’t. And unlike cotton, they do not require irrigation to grow. Moreover, nettles provide a soft, strong and lightweight excellent insulation. 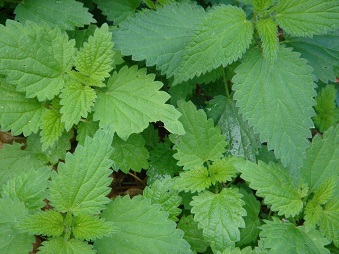 Women in the middle ages were already fond of this fiber when wearing nettle underwear. In Germany, nettle fabric was even found near 5500 year old dolmen. Dear Future Shapers, what about having a look into the past to find ideas to build our future? This can be fruitful!